Have you ever read the “what’s in my bag” article? I can’t remember if its People or Us Weekly but I know it was nothing too educational 😉 You know where celebrities will spill their purse and let you know what’s all in it? This is not nearly as interesting but it will be much better for us in the long run! Here is a sneak peek of what’s in my cart! I’m on a mission, a food budget mission. Our food budget used to consume SO much of our budget. I realized that I needed to start finding more affordable options. But I didn’t want to sacrifice eating mainly organic and all natural food. So where do I find good food at a good price? My favorite places to shop are Trader Joes, Target, Costco, Aldi, Whole Foods, Walmart and farmers markets. I’ve gone through seasons of life and season of the year when different routines make sense. One long-standing favorite has been Aldi. What is Aldi? Aldi is actually a world-wide grocery chain best known for its value. The reason why Aldi is price reasonably is because they sell mostly private label items. This includes their own private label organic line. You can also find grass fed and organic meat as well as organic dairy, produce, and vegetables. It’s true, there are no bells and whistles with Aldi. But if you’re on a budget and short on time, do you really need all of that? I’ve been quite pleased with Aldi’s quality and the price can’t be beat. 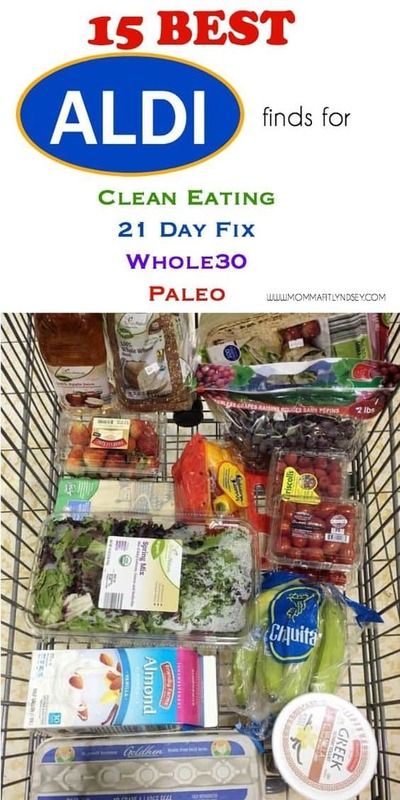 So if you’re looking to eat healthier and support diets like the 21 Day Fix, Paleo, or Whole30, Aldi can be your match! Want a healthy meal plan delivered to your email inbox with a different menu each week? eMeals is an easy and budget-friendly way to make meal planning healthy and simple. 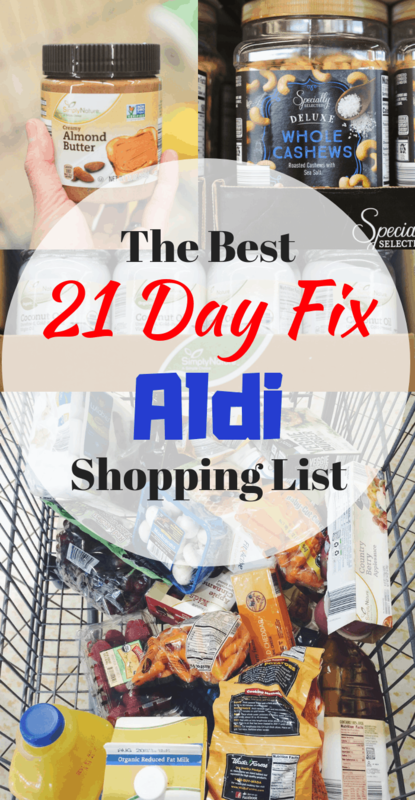 Here is a list of some of my favorite 21 Day Fix, organic and clean eating food items from Aldi. 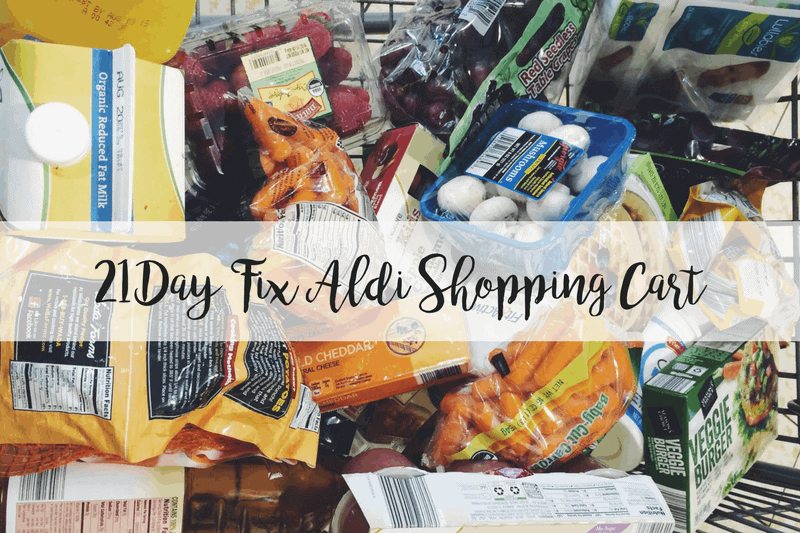 Grab your 21 Day Fix food containers and let’s get working on that 21 Day Fix eating plan at Aldi! 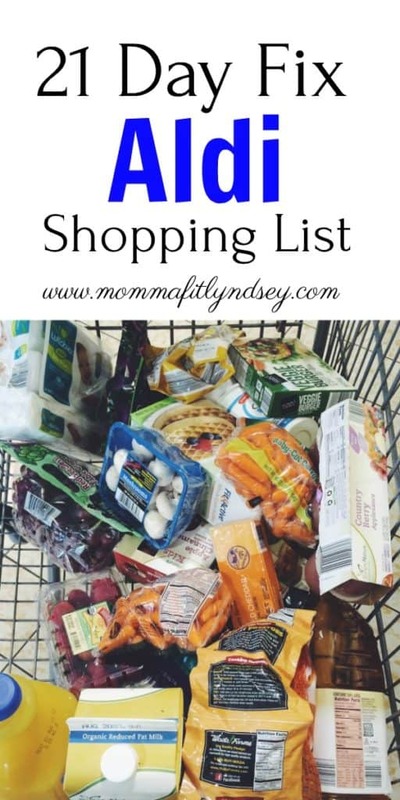 Here are a few things I picked up that are healthy favorites for Aldi. Need a one stop shop solution? Check out this post about organic groceries at Walmart! Trader Joe’s is another favorite of mine when looking for healthy and 21 Day Fix approved items. What makes Trader Joe’s so unique is their endless supply of pre-made and frozen food that is good for you. 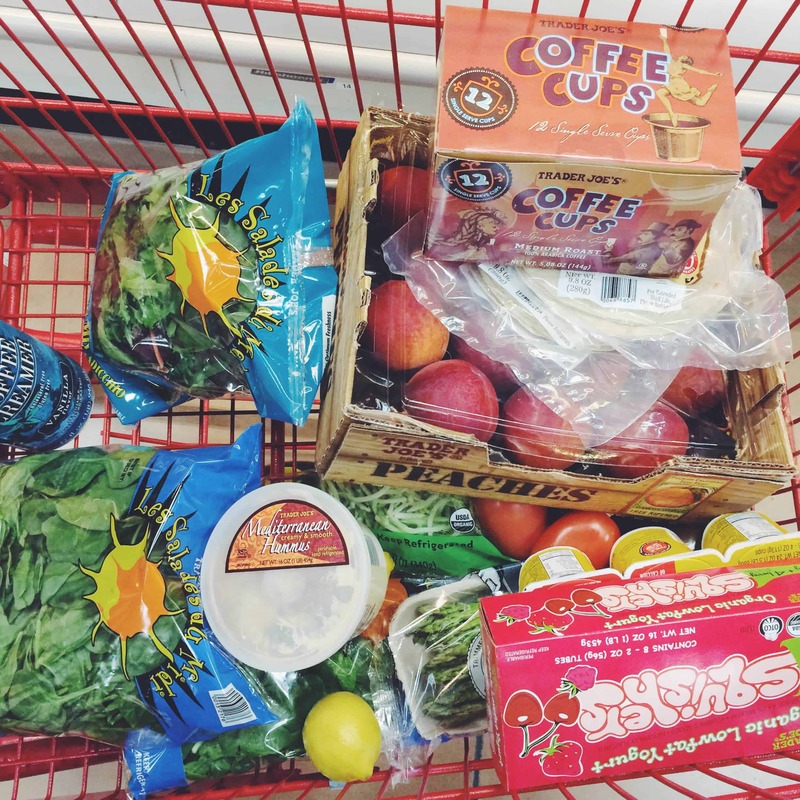 You still have to read some labels and check for ingredients, but all in all, there is a lot of great food at an awesome value when you shop at Trader Joe’s. These are just a few of my favorite Trader Joe’s items. Some of their specialty items (like their frozen, pre-made cauliflower crust pizza) I buy in bulk! Want to try the 21 Day Fix for yourself? Check it out! Have you found any favorite organic items at Aldi or Trader Joe’s? Where do you find the best deals for your food? Tell me in the comments! Join 20,312 other followers and subscribers in getting more healthy living tips on a budget right to your inbox! Get your FREE weekly meal planner below! Feta Sausage!? I must know more. Please share what this is and what you use it for? I love Aldi, Costco, and Target. Those three are my main shopping places. I will use WalMart Neighborhood Market if I can’t find what I need at Target and Aldi. Costco is a once every month or two shopping destination due to the distance of it from my house. I have never been able to find ‘natural’ cheese at Aldi unless it is the gourmet cheeses and the budget doesn’t always allow for those treats. Thanks so much for trying to help us live better, healthier lives! Yes! It’s part of their Never any line. You can find it near the lunchmeat and cheese! I actually try to skip cheese if I can, even though its hard because it’s so good! Thanks so much for checking the post out, let me know what else you’d like to see here!